The Audio Salon started out as a dream fueled by passion. A passion for listening to the world’s great music the way it should be heard, as the artists’ intended and as the recording engineers provided on the original masters. A second more engrossing passion was to enable others to have the same experience, in their own environments, at their own unique level of affordability. 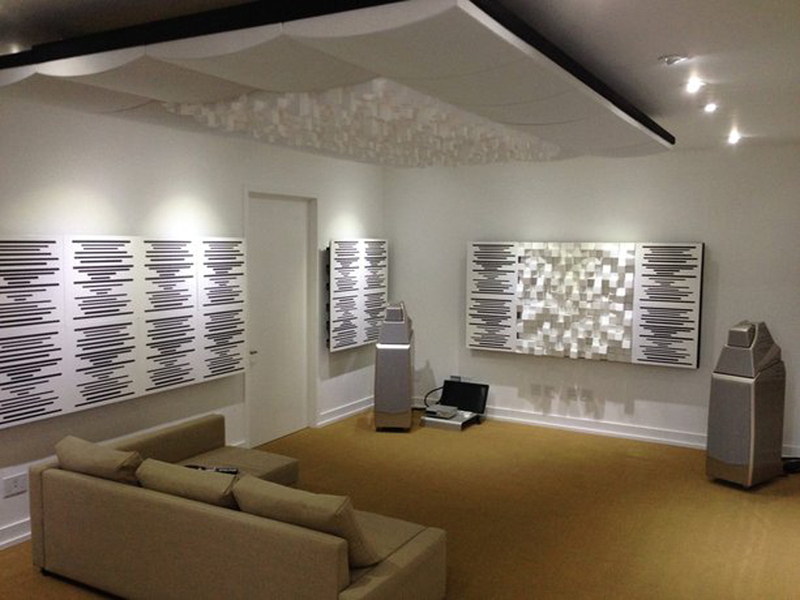 Out of the desire to facilitate this second passion, Maier Shadi created the Audio Salon. 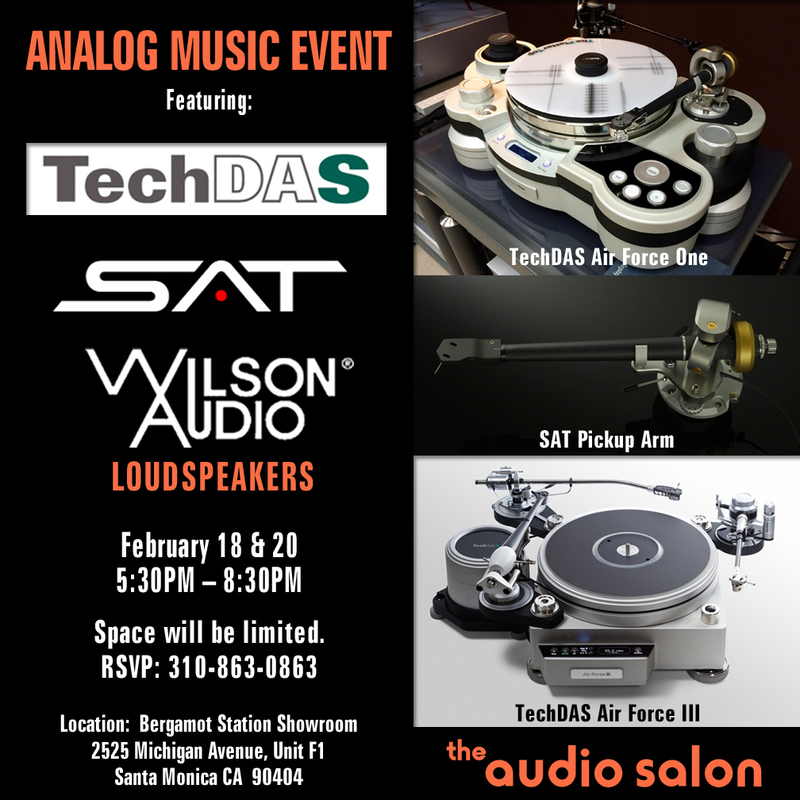 The Audio Salon listening room is situated in the heart of Santa Monica’s art enclave, Bergamot Station. We are proud to have many of the artists and agencies represented there who participate in Audio Salon events by providing visual works for exhibit in our spaces, adding an additional level of enjoyment to the listening experience. Recently, we had vintage Frank Sinatra photographs on display while we were demonstrating state of the art analog systems playing vintage Sinatra recordings. 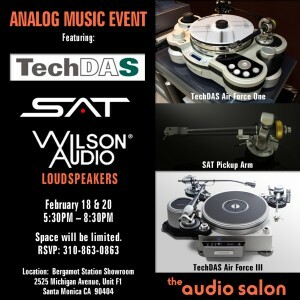 The Audio Salon represents manufacturers of extraordinary audio equipment and systems, from the very top of the line to mid-price level options, and even what would be considered “beginner” level components that meet our stringent requirements of delivering the very best sound for the amount of investment. Creators of these systems appear at our special events to premiere new products and demonstrate fully configured systems of compatible components which achieve that elusive balance of audio perfection. Our event attendees get the opportunity to have one-on-one time with some of the best, most creative minds in high-end audio. Maier understands that we don’t all “hear” our music in the same manner, and makes it a point to understand the customer’s taste in music, the intended listening environment, and of course, the level of investment available for achieving as much perfection as possible. Our recommendations always include an upgrade path to allow our customers to expand and perfect the listening experience of their systems as their levels of expertise and demands of increased enjoyment grow. We are also adept at providing entry into a level of audio enjoyment someone might not expect via pre-owned components, many of which have been reconditioned and upgraded by the manufacturer but are available at a fraction of the cost of new. All of this… for the love of music.